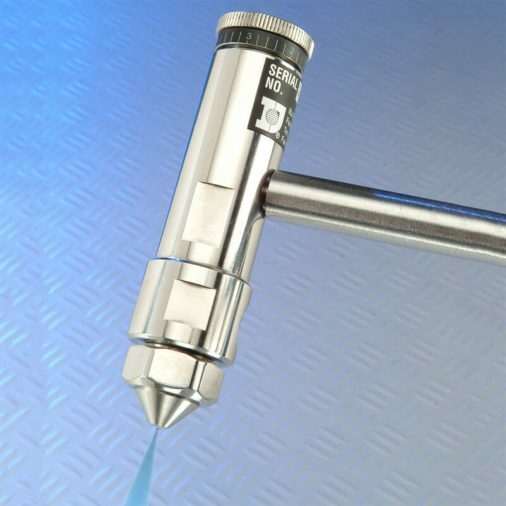 We supply valves, pumps and pens which match your requirements for highly accurate, repeatable and consistent dispensing and dosing of liquids and pastes. These systems can deliver quantities as small as one micro litre (1µl) for the micro-dispensing of adhesives, silicones, oils, greases, inks, catalysts, solder pastes, enzymes and other media. Jetting valves provide non-contact dispensing with a high degree of accuracy and repeatability. They offer speed and the ability to apply ultra-low volume deposits of material. 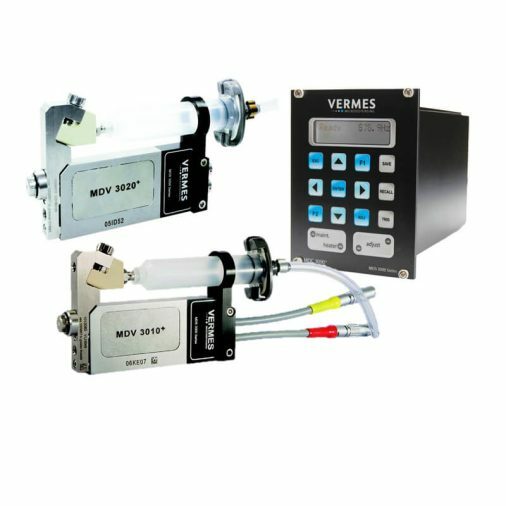 Our Positive Displacement Dispensing Valves are controlled pneumatically (often by one of our Dispensing Controllers). 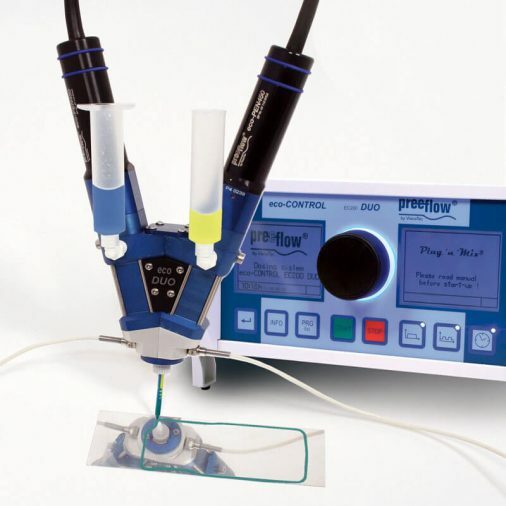 They offer accurate and repeatable micro dispensing of a range of industrial liquids such as adhesives, inks, coatings, solvents and sealants. 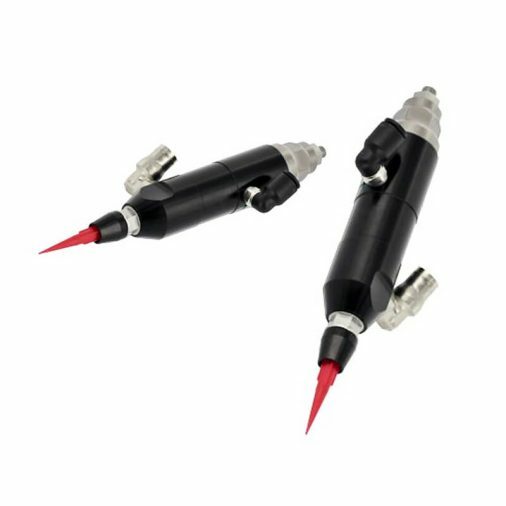 They can be mounted on one of our robotic dispensing solutions or hand-held. 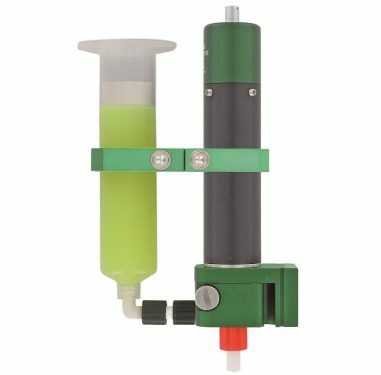 These dispensing valves are operated pneumatically, offering control over fluid and liquid application.